Has a missing tooth affected your life more than you expected? Gaps in your smile don't just affect the way you look, but may also make it harder to chew or even pronounce words clearly. Fortunately, dental implants offer an effective, long-term solution to tooth loss. Sugar Land, TX, dentists Dr. Stephen and Dr. Mark Lukin share some information about dental implants. 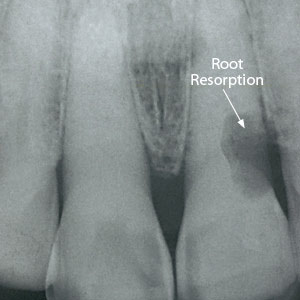 A dental implant creates a brand new tooth, starting with a synthetic root. Implants are small titanium posts that fit in openings made in your jawbone. Lightweight titanium is an excellent choice for implants because the metal bonds to bones during a process called osseointegration. 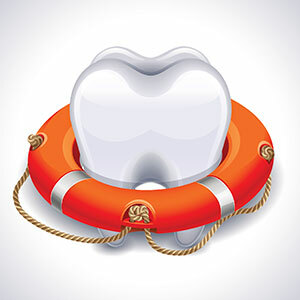 This process takes about three to six months and is crucial to ensuring the strength and stability of your new tooth. Once the implant is completely bonded to your jawbone, an abutment is added to it. 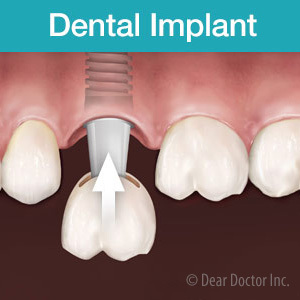 The abutment serves as a connection between the implant and the dental crown, the artificial tooth that will fill the gap in your smile. Is an implant a good option for me? You have one or more missing teeth. There are no limits regarding how many teeth can be replaced with dental implants. If you've lost all of your teeth, implant-supported dentures may be a good choice. Implant-supported dentures are more comfortable than traditional full dentures and offer improved biting power. You're tired of living with the challenge of a missing tooth. Eating can be much more difficult if you've lost a tooth. If the lost tooth is near the front of your mouth, it may be difficult to tear into food. A lost molar at the back of your mouth can make it hard to chew food completely. You don't smoke. The health effects of smoking may also interfere with healing. You practice good oral hygiene. Daily brushing and flossing will keep your implant healthy. If you're not a diligent flosser or brusher, a dental implant may not be the best option. Complete your smile with dental implants! Call Sugar Land, TX, dentists Dr. Stephen and Dr. Mark Lukin at (281) 265-9000 to schedule an appointment.